SMART goals help make the goal setting process less subjective and ensure that all parties involved have the same expectations. The real aim of this method is to define who, what, where, when, and why so that there is no room for ambiguity or misunderstanding of the end result. Remember that the ultimate purpose is to help your company succeed. Specific – Specifically define what you plan to deliver using action verbs. Measurable – Identify how you will measure success and stay on track. Attainable – Make sure your goal is realistic and possible for you and your team to reach. Relevant – Goal should be relevant to the company mission and reflect one or more core values. Time-Bound – Establish a realistic time frame for achieving your goal. 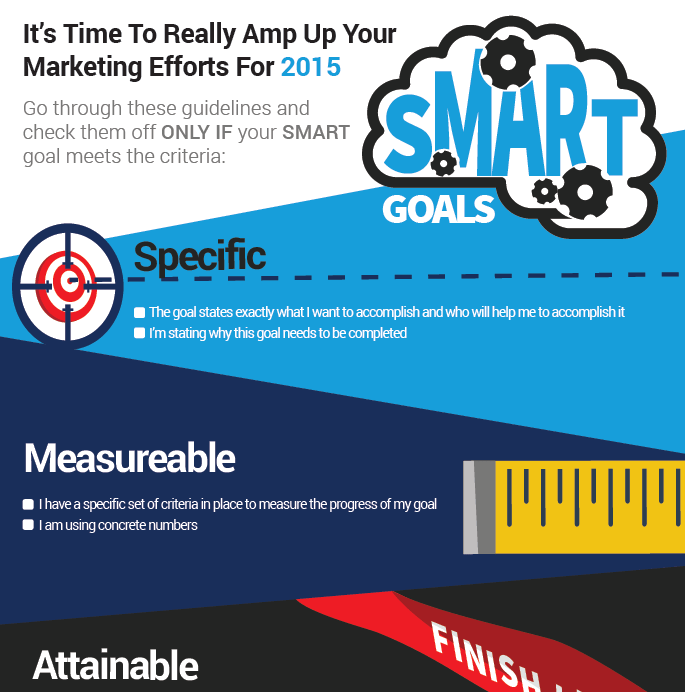 So, what does a SMART goal look like and how do you create one? Let's look at 10 contextual SMART goal examples that will help you succeed. Specific: We will increase our blog traffic by 100 unique visitors a week (400 unique visitors a month) by doubling our weekly blog publishing schedule from two posts per week to four and increasing our minimum word count per blog from 800 words to 1,600 words. Each of our two bloggers will improve their productivity from one post a week to two. Measurable: Our goal for total blog traffic is to add 400 unique visitors per month to the current total we received over the last 30 days at the start of this initiative. Attainable: Studies have shown that increasing blog posting frequency is correlated with an increase in traffic for sites already receiving traffic. Relevant: By increasing traffic, we will be able to get more social media engagement (follows, subscribes), elevate our total email list subscriptions, and ultimately qualify more leads for our targeted offers. All of these goals track directly to bottom line sales and revenue goals. Time-Bound: We will reach this goal within 60 days. That gives us a full month when the new initiative will be attracting traffic. Within two months, our blog traffic will add a total of 400 unique visitors by doubling our publishing frequency from two posts per week to four and by increasing our word count per blog from 800 words to 1,600 words. Specific: We will increase our total new lead acquisition 10% by revising all 50 of our existing content pieces to include relevant lead magnet offers and calls. 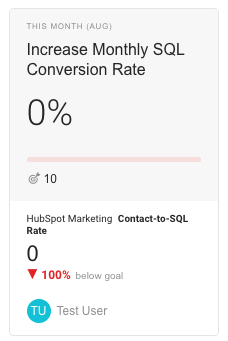 Measurable: Our new lead acquisition goal is 110% versus our current lead acquisition figure from the last 30 days. 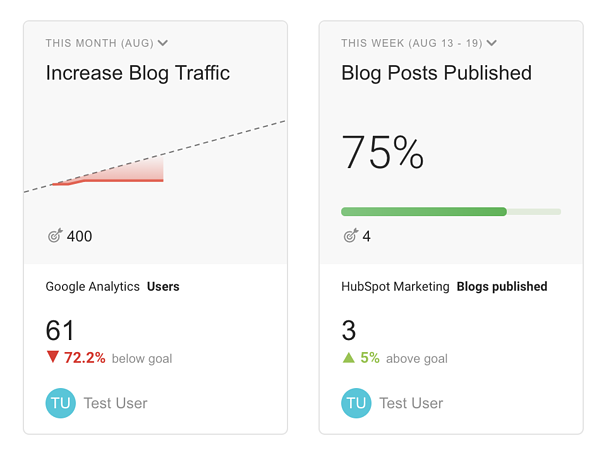 Attainable: Past results have shown that adding targeted offers and CTAs to our existing back catalog of blog posts adds anywhere from 5% to 20% to each post’s ability to acquire new leads. Cumulatively, ensuring all content highlights offers should increase leads far more than 10%. Relevant: By increasing lead acquisition we will have the opportunity to keep our sales funnel fuller, accelerate sales cycles, and ultimately close more sales, benefits that should continue to increase beyond the initial 10% increase target as time goes on. Time-Bound: We will complete the updating of all pages within 30 days. We will achieve the lead acquisition improvement goal within 60 days, with at least 30 full days following the complete roll-out of the offers and CTAs on all pages. In two months, we will boost total new lead acquisition by 10% by adding relevant CTAs and content offers to 50 pieces of existing content. Specific: We will deliver a 10% increase in demo requests within 60 days by developing a new product video and case study to serve as “bottom of the funnel” content driving contact between marketing-qualified leads and our sales team. Our creative team will handle all changes. Measurable: We will be able to recognize a 10% increase based on our previous quarter sales figures. Further down the line, a 10% increase in demo requests should lead to a 2%-3% increase in sales. If the sales goal doesn’t materialize, we’ll know we need to huddle with sales. Attainable: Research has shown including a product video on a landing page greatly raises the odds of conversion. In fact, a product video is so powerful that it can influence conversion rates even among visitors who don’t actually look at the video. Relevant: A demo request is the last step before a full discovery call with sales in most buyer journeys. By ensuring we receive more demo requests, we’re putting sales teams in a position to close the deal with leads who have an established, well-cultivated relationships. Time-Bound: We will complete and roll out our new case study within 14 days and our new product video within 30 days, adding them to the existing product landing page. We will add a new email message for qualified leads to promote the new content within 30 days. Implementing these changes on schedule will give us 30 days to observe their effects on conversion. In two months, we will see a 10% increase in demo requests by creating a new product video and case study to serve as “bottom of the funnel” content. Specific: We will enhance purchase sales on our landing page for SmartProduct by 10% by implementing A/B testing and testing five different conversion-focused elements of the landing page. Our user experience expert will be responsible for choosing the elements, testing, and using our preferred split testing tools to evaluate the results. 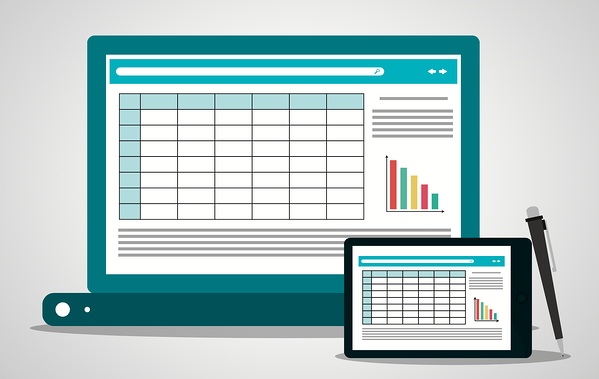 Measurable: We’ll be able to demonstrate a 10% conversion gain based on our previous results. Attainable: Making targeted adjustments to key areas of a landing page is user experience best practice in marketing and has helped us acquire results in the past. Using a combination of A/B split testing software and data analytics, we can quantify the impact of each individual test. Relevant: Raising sales 10% for SmartProduct will generate appreciable gains in our revenue and subscriber base. Additional subscribers mean we’ll have the opportunity to drive more upsells and cross-sells. Plus, we can introduce decision-makers to our other offerings with our customer-focused subscriber lists and user groups. Time-Bound: A timeframe of 90 days means we have a maximum of 12 days to test each of five landing page elements and 30 days to record results from the landing page after it is fully optimized. 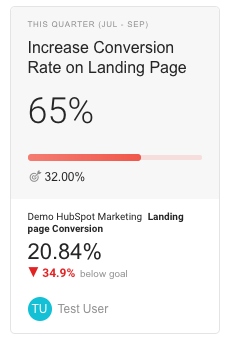 In three months, we will see a 10% conversion gain on our SmartProduct landing page by using A/B testing on five conversion-focused elements. Specific: We will improve sales qualified leads (SQL) at least 5% by reviewing the criteria for a lead to be considered an SQL, using analytics to pinpoint which of these criteria is least likely to be met by our leads, and making adjustments in that step of the process to make qualification easier for the end user. Our sales and marketing teams will work together on this project. Measurable: Both marketing and sales will be able to recognize the necessary increase in SQLs through analytics or Customer Relationship Management system results, respectively. Attainable: We already have criteria for Sales Qualified Leads. Measurable adjustments to a qualification funnel are known to produce changes in lead generation outcomes. Relevant: Addressing any gaps that may be preventing otherwise-qualified users from reaching SQL status will improve sales outcomes, reduce sales cycle time, and help us support customer success. All of these support revenue, acquisition, and retention. Time-Bound: This goal may have multiple smaller goals depending on the outcome of the initial review, so communication and revising the project outlook will be essential. However, the SQL review should be completed within 10 days and any necessary adjustment within 21 days. Results should be visible within 60 days. In two months, we will improve SQLs by 5% by using analytics to identify which criteria is least likely to be met by leads to simply the qualification process. Specific: As part of our Facebook marketing strategy, we will increase our weekly shares on Facebook at least 20% by posting at least five times a week and including an image in 75% of our posts. Our social media pros will be responsible for using our design elements to create a graphic or image to go with each post, adding approximately 10-15 minutes to the time it will take to draft, develop, and post each one. Measurable: We will be able to show engagement changes immediately using social media analytics built into our social media automation or the analytics within our standalone solutions. Attainable: Experts are confident that adding more visual content to social media posts enhances engagement across all dimensions – including shares, comments, and likes. Committing to include visual content in all posts on a given platform should maximize their impact. Relevant: Shares are widely recognized as the best proxy metric for total social media reach. Reach exposes more people to our message and helps us achieve greater ROI. We can reasonably infer that the gains in ROI will offset the additional time required for production. Time-Bound: Although we’ll start to see results right away, we should see seven straight days of at least 20% gains in Twitter shares within 30 days of implementing this change. In one month, we will increase weekly Twitter shares by 20% by using a banner development tool to add a graphic to each social media post. Specific: We will improve our 6-month client retention by 25% by executing a customer listening campaign to determine where processes could be improved to add value to mature accounts. A project manager will be designated to develop feedback questions and a customer communication plan. Attainable: Client retention isn’t easy, but collecting genuine insights from current and past customers will produce actionable lessons learned. Even if the initial goal isn’t successful, we’ll still acquire new insights into customer thinking that could be useful in the future. Relevant: Given it costs much more to sell to a new customer than it does to sell to an existing one, the decision to focus on retention could lead to a cascade effect that saves lots of money over time. Time-Bound: All necessary changes to achieve our goals should be in place within 90 days. It will take 180 days after that to validate complete results, so someone should be in charge of keeping tabs on the process even after things are complete on the marketing side. In six months, our client retention rate will see a 25% increase by conducting a customer listening campaign to learn where to add value for mature accounts. Specific: We will raise our Net Promoter Score (NPS) 10 points by reducing our biggest NPS detractor, customer service call waiting time, by 50%. Our call center director will be responsible for implementing training and process changes to reach our goal. Measurable: Just like digital marketing, call center environments are metric-driven and produce a lot of data. The major assumption that better customer service will raise NPS score should be examined in light of all our data, though. Attainable: Many of the most trusted Fortune 500 companies focus resources on defining and improving their NPS scorecard regularly. We know that a higher NPS translates to better results and that call center metrics respond to training and incentives. Relevant: In general, a higher NPS equals better market performance. Just like client retention, it’ll furnish opportunities to raise value on established accounts and reduce the investment on new accounts needed to drive strategic goals forward. Time-Bound: Customer service call waiting time should be reduced 50% in 90 days. NPS should be monitored and results reported within a total of 180 days. In six months, our NPS will increase 10 points by reducing the customer service call waiting time by 50% through training and process changes. Specific: We will generate sales contact with at least three referral clients by calling or emailing current customers who have closed a sales agreement with us this year and who have spent at least 90 days with one of our solutions fully implemented. Our sales pros will take point on this, with the most senior leading the way to delegate and direct the others. Measurable: We’ll know right away when we’ve gotten three referrals and made contact. However, sales pros will have to continue to follow up and build rapport before sales materialize. Attainable: Getting referrals is not only very attainable, but very efficient. Our ability to get referrals will tell us a great deal about the strength of relationships we have with our customers. Relevant: Referral business has the potential to have the shortest sales cycle of any business, putting new revenue into the pipeline faster than virtually any other lead acquisition method. Time-Bound: We will have three referral clients to follow up with within 15 days. In 15 days, we will gain three referral clients to make sales contact with by calling or emailing current customers. Specific: We will improve the average open rates for our email marketing campaigns by 10%. Our email marketing team will split test headlines to refine their techniques and get more eyes on our emails. Measurable: Our email marketing automation software can deliver ironclad stats on how our campaigns are performing. Attainable: Yes; optimizing headlines and other aspects of email marketing is part of the continuous improvement we should always be doing. Relevant: Email marketing gives us the opportunity to drive sales on our own timeframe, but it requires that people choose to click those emails. Time-Bound: Testing should start within seven days and the goal should be reached within 60. In two months, we will see a 10% increase in average open rates for our email marketing campaigns by split testing headlines. Why Are SMART Goals Necessary? 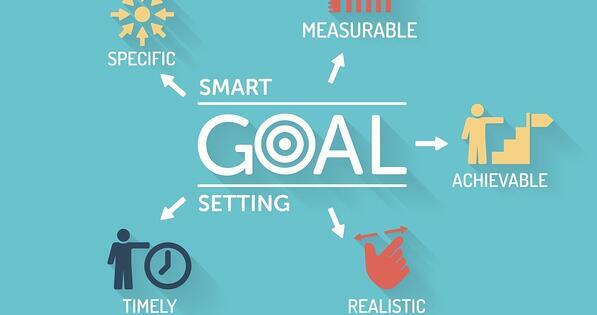 Setting clearly defined goals for yourself is important because it gives you a reason for doing what you are doing while maximizing your chances for success. Creating SMART goals doesn’t have to be a rigid formula, but more a checklist of things to include in your plan. In other words, you need to know how you will decide if your goal has been reached. If you goal involves working with other people, they will need to know this, too.